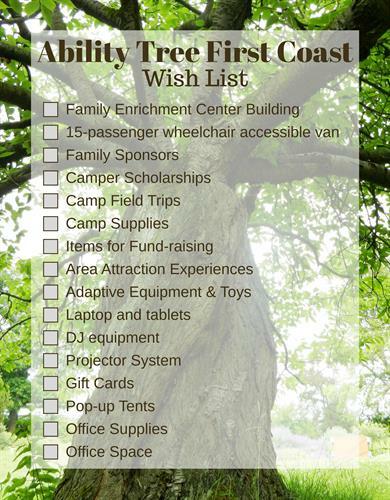 Ability Tree First Coast is a nonprofit organization, with a mission to reach families impacted by disability through Recreation, Education, Support and Training (R.E.S.T. ); we aim to partner with individuals and organizations to raise awareness and build support networks to strengthen and grow able families. 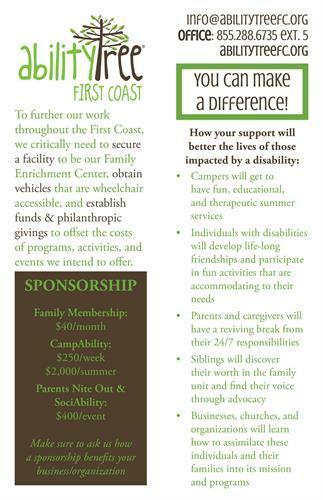 What sets us apart from other local agencies is that we focus on the whole family unit, not just the individual with disabilities. We also are intentional with assisting community organizations become knowledgeable and strategic within the disabilities community. 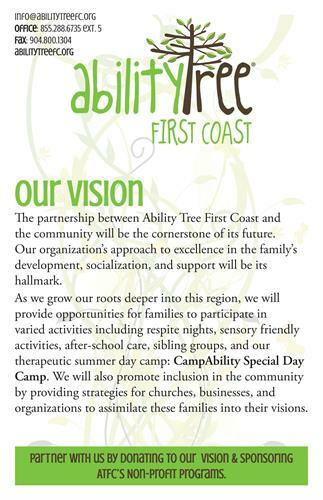 The partnership between Ability Tree First Coast and the community will be the cornerstone of its future. Our organization’s approach to excellence in the family’s development, socialization, and support will be its hallmark. 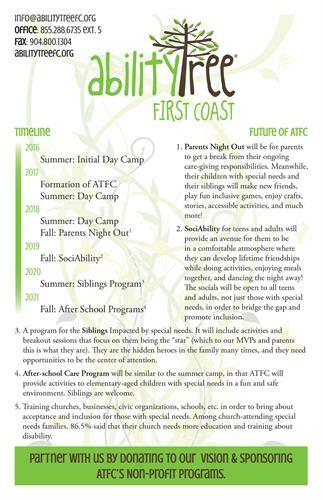 We have a special needs day camp and Parents Night Out events. We also provide trainings that assist businesses, churches, civic groups, etc. with gaining a clear understanding of the disabilities community, as well as creating effective & evolving strategies to bring these individuals and families into their establishments or Corporate Social Responsibility Goals. 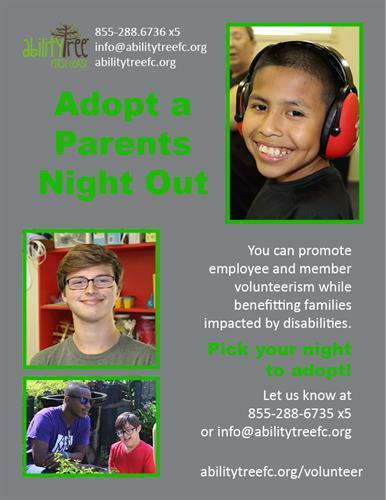 As we grow our roots deeper into this region, we will provide opportunities for families to participate in varied activities including family adaptable activities, SociAbility activities for teens & adults with disabilities, sibling groups, and after-school care.